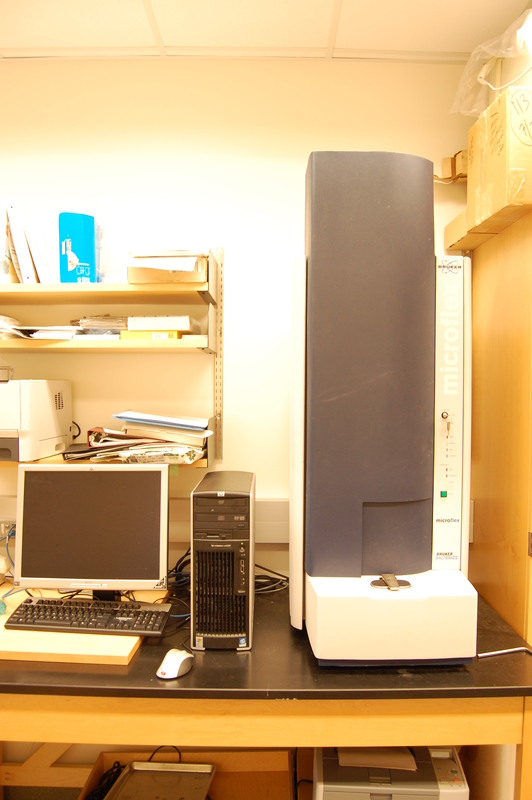 The MALDI allows for very high resolution mass analysis of samples. 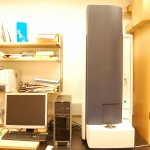 The MALDI can analyze very large molecules up to several hundred thousand Daltons. In the instrument, molecules are ionized using a combination of a high powered laser and a matrix molecule. The charged particles are accelerated toward a detector in an electrostatic field. 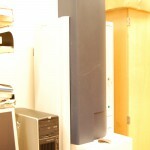 The mass is measured by the length of time needed for a molecule to arrive at the detector approximately 1 meter away. 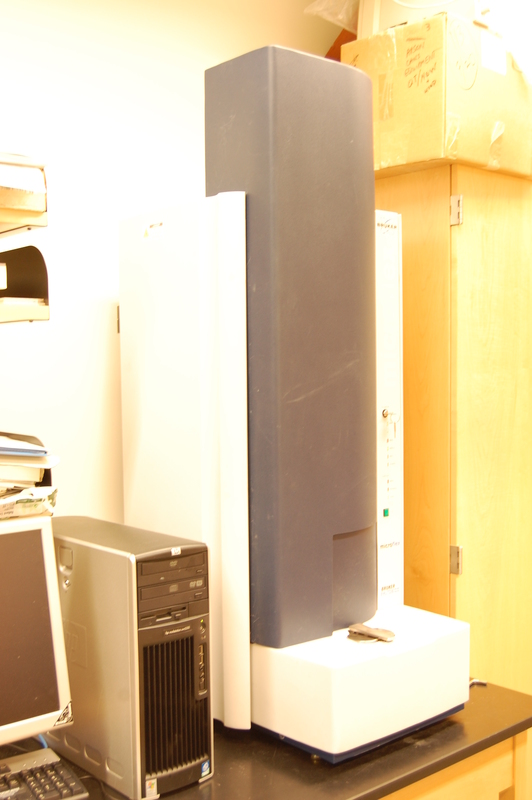 This instrument is most commonly used to identify proteins based on their characteristic digestion “fingerprint”.